It's a Scrappy World: 12-20 New Release at Bugaboo Stamps! ps) I have blog candy up in my sidebar and would love it if you are able to come by and join in. 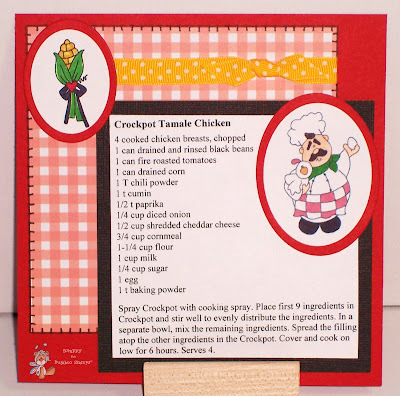 Fab recipe card! I'm sure your friend will love it!